On Friday, February 13th, Forest View chorus students sang on DPAC’s stage with hundreds of other DPS elementary, middle, and high school students for the 36th annual Evening of Entertainment, supporting the DPS Scholarship Foundation. Their funky performance of Pharrell Williams’ “Happy” was a big hit! 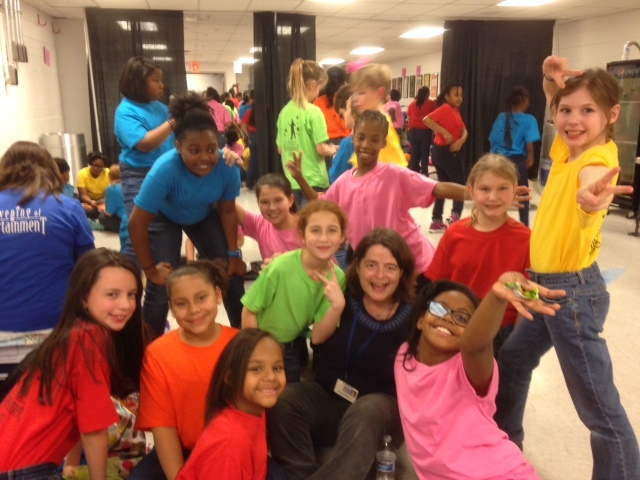 Thank you to Ms. Davis, Ms Colclough, elementary school vocal clinician Dena Byers and elementary school choreographer Willie Hinton, and all the families and volunteers who helped the children get to rehearsals and brought plenty of snacks to keep them going. And thank you to the Forest View performers for sharing your talents and inspiring all of us.